In this second extract from a commentary for Asia Pacific Media Educator I reflect on the lessons learned from a decade of teaching dedicated data journalism courses. You can read Part One — on teaching one-off data journalism classes — here. In contrast to the one-off classes involving data journalism, courses and modules that focus on data journalism skills present a different type of challenge. These courses typically attract a different type of student, and provide more time and space to work with. 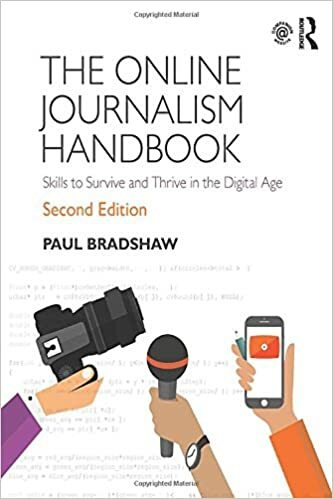 My own experience of teaching on such courses comes from three contexts: in 2009 I launched an MA in Online Journalism at Birmingham City University with an explicit focus on data-driven techniques (the term “data journalism” was yet to be popularised). A year later I acted as an advisor to the MA in Interactive Journalism that City University London were then developing (delivering guest classes in data journalism for the following 5 years as a visiting professor). Finally, in 2017 I replaced the MA in Online Journalism with a dedicated MA in Data Journalism at Birmingham City University. This entry was posted in data journalism, online journalism and tagged MA Data Journalism, ma online journalism, pedagogy on June 21, 2018 by Paul Bradshaw. My MA in Online Journalism has a new name: the MA in Multiplatform and Mobile Journalism*. It’s still a course all about finding, publishing and distributing journalism online. So why the name change? Well, because what ‘online‘ means has changed. This entry was posted in online journalism and tagged coding, MA Multiplatform and Mobile Journalism, ma online journalism, mesh networks, mobile, narrative, pedagogy, Programming on December 6, 2016 by Paul Bradshaw. 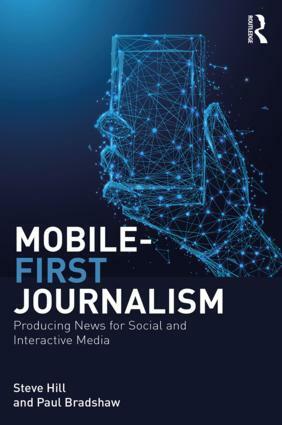 Videographer Franzi Baehrle has published an ebook documenting lessons in delivering video training to non-journalists. The ebook was part of her final project for the MA Online Journalism at Birmingham City University, and based on her experiences of working with communities online and offline in Birmingham, with the Guardian Media Group’s n0tice project, the Birmingham Mail’s digital team, and independently. I forgot to blog about it at the time it was published last Autumn, but better late than never: it’s an excellent piece of work, and well worth reading. This entry was posted in user generated content and tagged birmingham mail, citizen journalism, ebook, Franzi Baehrle, ma online journalism, n0tice, training on May 10, 2013 by Paul Bradshaw. The MA in Online Journalism which I established at Birmingham City University in 2009 is now available via distance learning. The MA in Online Journalism by distance learning is primarily aimed at people who are already working in a content- or technology-related role. Students can use their current work as part of their studies, or use their studies to explore ideas and skills that they have been unable to explore as part of their role. The course requires self-discipline and motivation, and I look for evidence of that in the application process. You will be communicating regularly both with myself and other students on both the distance learning and ‘with attendance’ versions of the course, so there will be plenty of support, but like any Masters level course you will be expected to learn independently with guidance to develop your own areas of expertise. I’ve actually been teaching the distance learning version of the course since last September, but hadn’t publicised the fact (I wanted to ‘soft-launch’ the first year with a small group first, and use agile principles to continue to develop it). But now the secret’s out: The Guardian reported on the course last month, and student Robyn Bateman has written about her experience of studying via distance learning in Wannabe Hacks this week. I’ll be blogging further about how the distance learning course has changed how I teach the MA as a whole, and changes in education more generally, but that’s for another post. In the meantime, I’m particularly welcoming applications from individuals with good experience as a working journalist, or as a web developer, or who are running or considering launching their own journalism enterprise. This entry was posted in online journalism and tagged distance learning, ma online journalism, Robyn Bateman on May 30, 2012 by Paul Bradshaw. One of the problems in teaching online journalism is that what you teach today may be out of date by the time the student graduates. This is not just a technological problem (current services stop running; new ones emerge that you haven’t taught; new versions of languages and software are released) but also a problem of medium: genres such as audio slideshows, mapping, mashups, infographics and liveblogging have yet to settle down into an established ‘formula’. In short, I don’t believe it’s wise to simply ‘teach online journalism’. You have to combine basic principles as they are now with an understanding of how to continue to learn the medium as it develops. This year I set MA Online Journalism students at Birmingham City University an assignment which attempts to do this. This entry was posted in online journalism and tagged audio slideshows, birmingham city university, desi velikova, Flash, hedy korbee, ma online journalism, online journalism education on April 1, 2011 by Paul Bradshaw. A couple weeks ago I wrote a post about ‘Universities Without Walls‘. At its heart was a belief that community is an asset for news organisations, and reputation in at least one community is an asset journalists should be actively cultivating. I’ve recently been asking students – at both City University London and Birmingham City University – to complete assignments that ask them to do just that. The other assignment was given to Birmingham City University MA Online Journalism students last week. This is a Communities of Practice assignment, where students are asked to join groups of practitioners (e.g. online video makers; data journalists and developers; podcasters; and so on) to improve their multimedia journalism, contribute to the field, and build support networks for ongoing skills development. Here’s what I’m learning so far. The vast majority of my work with the City University students has been cultural. The idea of ‘the audience’ is so persistent, so resistant, that it takes a huge amount of work to unpick. We are so precious about ‘our’ journalism, it seems, that we will do anything but let other people into it. More worrying, we seem to see journalism as either a glamorous profession, or a paternalist one. ‘Public interest’ is ‘our interest’; the ‘public sphere’ is ‘our sphere’. Students understand the importance of building a network of contacts; they understand why they should make themselves contactable; and they are happy to get involved with distributing content online. But many expect all this to happen without building relationships. Some, indeed, worry about this being a “waste of time”. I’m not sure whether this is a result of news organisations increasingly becoming content factories, or whether aspiring journalists have always expected ‘being a journalist’ to mean that the hard work of building relationships had already been done for them by the newspaper and their predecessors. It might be an inherited cultural attitude that sneers at readers. It could be all of the above, or none of those reasons. Whatever the reasons, I find it rather depressing that the communities we are supposed to serve are often seen as something we cannot be bothered with. At the module’s midway point I asked students to submit a draft of their community strategy so that I could make sure they were on the right track. It was a useful exercise in what you might call ‘Agile’ teaching – it allowed me to pull out some common misunderstandings and correct them. Normally this doesn’t happen until you’ve taught a module for the first time, and adapt it for the second and third times. One recurring problem was students being too focused on content, or community, rather than both. The content-centric strategies started with what they were going to do – write a blog, etc. – and then positioned the ‘audience’ as a compliant distributor and contributor, with little thought around why they would do that. The strategies that were too focused on community failed to identify the journalistic objectives that should remain important. The journalist was left helping a community, but without necessarily playing to their own journalistic strengths of communication and investigation. Two key questions to ask were illustrated by one particular student, whose draft contained a brief section titled ‘What do I have to offer them?’ and another titled ‘What do I get back?’. Addressing both questions ensures the project is balanced. A good strategy is specific – but too many failed to specify what they were going to do to stimulate interaction. Exceptions included one student who noted that many successful blog posts ended with an open question; and another who identified the questions that she would use to stimulate debate. Likewise, tools needed to be chosen based on where the community is, and what the tools did. 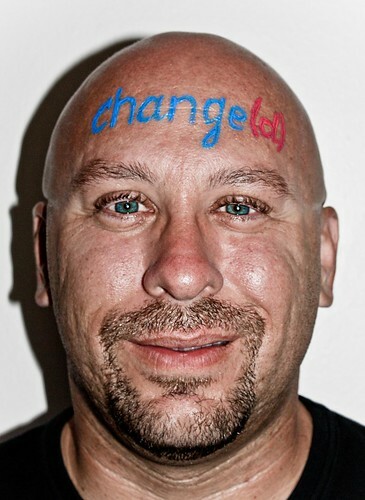 There’s no point starting a blog if all of your chosen community are using Facebook. And there’s no point choosing Facebook if you want the information to be available to search engines. Finding the community at all was a problem for some, a problem which came down to their search techniques. There’s plenty of advice on this, from the search engines you use to the phrasing, but the key issue is to imagine what your community is saying, not who they are: so don’t search for “twins”, search for “my twin sister” because that’s the sort of thing that only a twin is going to say. How do you measure success? Many students saw volume as the key, aiming for round numbers of followers on Twitter, fans on Facebook or hits on their blogs. But engagement would be a much more relevant metric: how many comments do you want? How many @ messages, or even retweets? Other problems including not looking at what else there was serving that community, and why it was successful, or trying to compete with it instead of working with it. If your community is mothers then best to build a reputation on Mumsnet instead of trying to beat it. As the assignment is inherently experimental, I’ve borrowed the marking scheme from the ‘Experimental Portfolio’ assignment on Birmingham City University’s MA Online Journalism. This is designed to allow students to ‘fail’ to meet their own objectives without necessarily failing the assignment itself. Put another way, they are assessed on process, not product (and online, of course, the process itself is often the product). The three assessment criteria, then, are: research; creativity and viability; and analysis. So as long as the student’s community strategy is based on research, and they critically analyse the results, that is A Good Thing. This is Masters level education – they should be learning something from their work, and yes, that means being prepared to fail. The assessment of creativity is aimed at both ensuring that taking big risks is encouraged, and that creative and effective executions are also rewarded. Few things depress me more than a student who is afraid to learn anything because they might lose marks. The assignment for MA Online Journalism students is different. It is an acknowledgement that in a field like online journalism, where technology and knowledge is evolving all the time, Masters level education means having the professional contacts that allow you to remain at the forefront of the field in 2 or 5 years – not just in 6 months. There are many similarities with the other assignment: the focus is on building relationships, and contributing something to the wider community, rather than just taking from it. The difference is that the objective is skills-based, not story-based. One of the key features of education is what you learn from the people around you – not just the person lecturing you. That’s why e-learning has failed to take off in quite the same way as expected, and why the Open University still does it so well (they recognise that it is about more than content). Having a ‘university without walls’ where students learn as much outside the classroom as they do in it is a key development in this respect. And as lecturers we need to help make that happen. This entry was posted in online journalism and tagged assessment, birmingham city university, city university, community, community based journalism, ma online journalism, online journalism education on February 16, 2011 by Paul Bradshaw.